Instagram has become the social network with the highest growth rate in recent years and, therefore, one of the most promising in the coming years. It is essential that brands consider the leading social network for images within their social network strategies and, ultimately, as part of an overall digital marketing strategy. 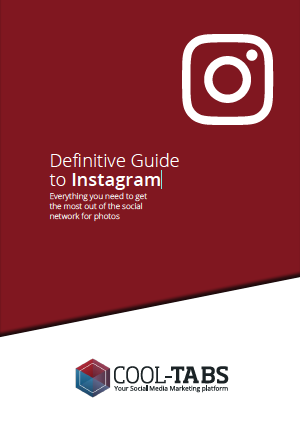 That's why we've created this definite guide, in which you'll find out how to use Instagram for your brand or agency, step by step, including all the tips and tricks. Download it for free! Why use Instagram in your Social Media Marketing strategy? Our guides are free only for registered users. Create a Cool Tabs free account in 30 seconds and download your guide now. We would like to notify all users that we use our own cookies, but also cookies from third parties so as to improve user experience, and produce interesting content. If you continue to use this website, we will assume that you accept our cookies policy. *15-day free trial for new customers.